When disasters such as fires, floods, and mold occur; we are here to make things right again. 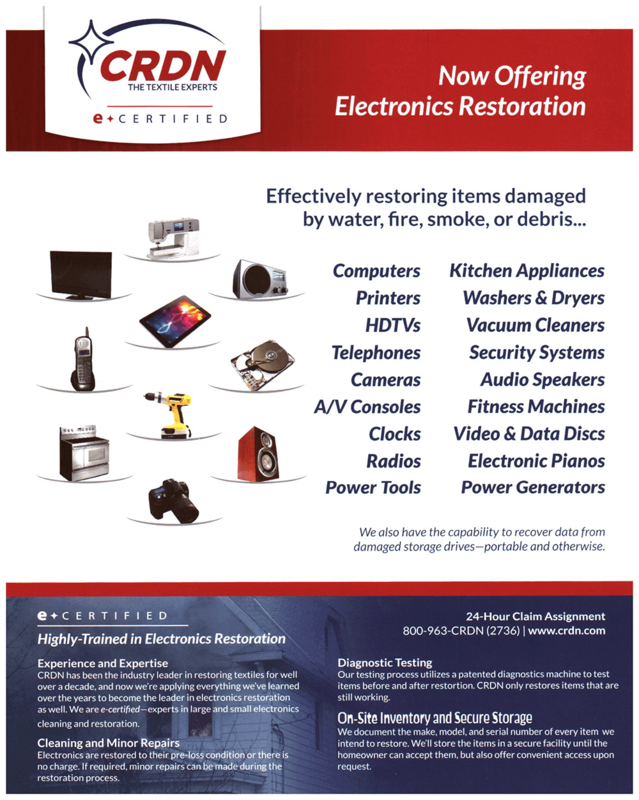 We have an entire division devoted to restoration. Geneva Cleaners is a member of Certified Restoration Drycleaning Network (CRDN). CRDN is an International Organization of textile restoration specialist serving the insurance industry, contractor/content cleaning companies, and property owners. We work closely with you and your insurance carrier to restore far more than just garments and household textiles. Our experienced and highly trained textile cleaners specialize in insurance restoration as well as laundry and dry cleaning services for all types of loss. Adept at restoring garments and textiles, we offer an effective and proven solution for restoration. Contents are the largest part of insurance claims and more importantly, clothing and fabric items compromise upwards of 23% of that content.